Coming to see basketball legend, activist, author and humanitarian Kareem Abdul-Jabbar deliver the Rosenn Lecture on Sunday at Wilkes? He will speak about “Becoming Kareem” in a conversation with University President Patrick F. Leahy on Sunday, Sept. 30 at 2 p.m. in the McHale Athletic Center in the University Center on Main. 1,300 — That’s the number of chairs being set up in the McHale Athletic Center. That’s enough to accommodate the nearly 1,200 people who have registered in advance for the event, with a few chairs left over. Big — This event is big — one of the biggest on-campus lectures in University history in the last two decades. Two pallets — That’s the number of shipping pallets needed to deliver Abdul-Jabbar’s books for the sale and signing after the lecture. He’s a prolific author and his books include a series about Mycroft Holmes, Sherlock’s brother. Timing is everything: All of the activities involved with Abdul-Jabbar’s visit have to be timed to the minute, Van Jura says. From the moment a car picks him up at his hotel and the second he sets foot on campus at 11 a.m., every movement will be clocked to accommodate a hard stop when he has to leave Wilkes-Barre to head to his next engagement. There are precise times for him to attend a brunch, participate in the student picture session, deliver the lecture and sign books. 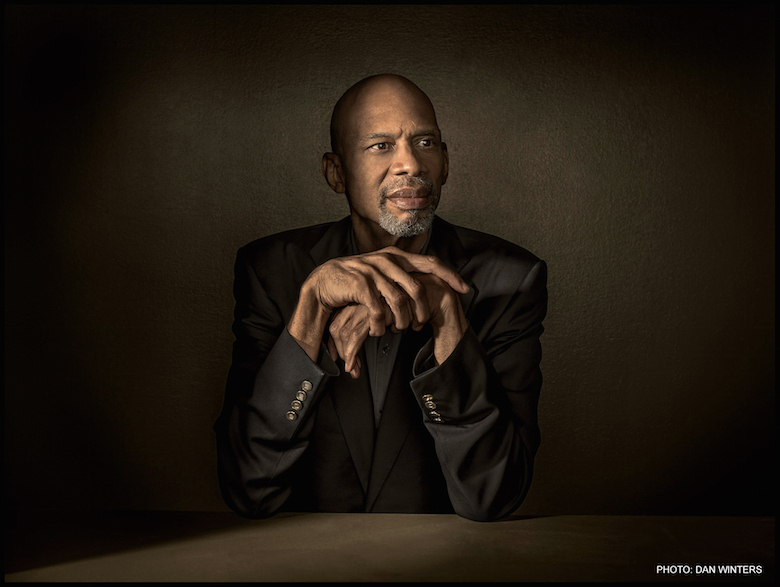 Pictures are a tall order: The University will be using what it calls its press backdrop as the background for the photo session with Abdul-Jabbar and students. Van Jura had to make sure it was tall enough to accommodate our distinguished guest’s 7- foot, 2-inch frame. Fortunately, the back drop is eight feet tall. While they were at it, event planners also considered the fact that the photographer taking the pictures — who is himself over 6 feet tall — may need to stand a box to get the right angle taking shots of Abdul-Jabbar. If you are still thinking of attending the lecture, registration is open until 5 p.m. today, Friday, Sept. 28. You can find it here.